iflix has just announced that "Pure Genius", a new medical drama series, is now available for viewing starting today. All of the series' thirteen episodes of the first season will be available to stream or download for the first time in the Philippines. Written and created by Jason Katims (of "Friday Night Lights" fame) and Sarah Watson, "Pure Genius" follows a young Silicon Valley tech titan, James Bell (Augustus Prew) who enlists an exceptional veteran surgeon with a controversial past to run a state-of-the-art hospital, Bunker Hill, with a focus on ultramodern and unconventional approach to medicine. Bell has not only built Bunker Hill Hospital to revolutionize health care but treats the rarest and most challenging medical mysteries, at no charge. To do so, he pairs the most brilliant minds in medicine with the most forward thinkers in technology and cuts bureaucracy out of the equation, all in the interest of saving lives, including his own. 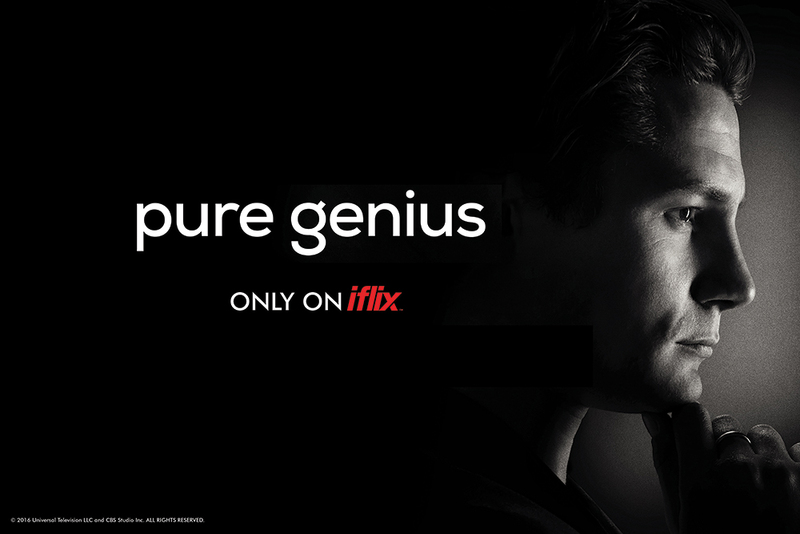 "Pure Genius" also stars Dermot Mulroney, Odette Annable, Brenda Song, "Pure Genius" joins iflix’s amazing slate of award-winning and popular shows, including "Emerald City", "Mr. Robot", "Channel Zero: Candle Cove", "The Magicians", "Fargo" and "Black Sails" and many more. Now available in Malaysia, the Philippines, Thailand, Indonesia, Sri Lanka, Brunei and the Maldives, iflix additionally recently announced its joint venture with Zain to launch its world class service in the MENA (Middle East and North Africa) region as iflix Arabia. Still undecided about joining iflix? iflix is offering a complimentary 1-month trial with full access to its world-class service, features and content. Go to www.iflix.com to register now.